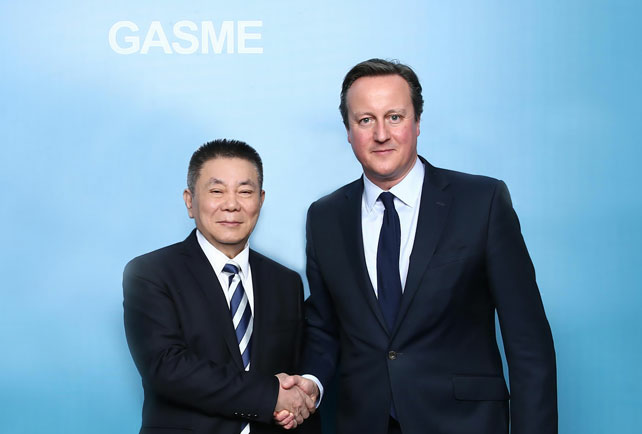 GOLDIAN Group Chairman Kou Manyuen attended the 5th China SME Global Development Forum as an outstanding SEM entrepreneur and took a photo with British Prime Minister David Cameron. 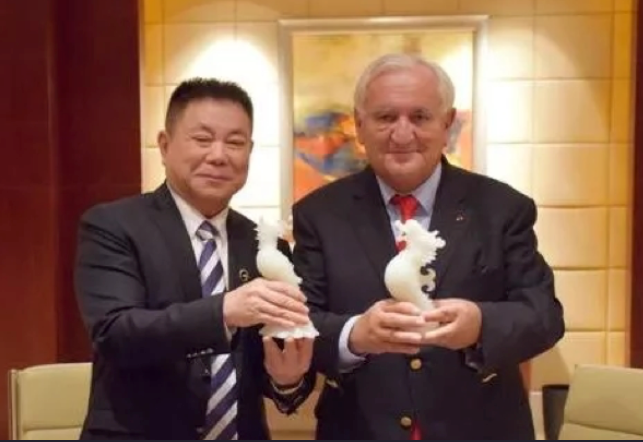 GOLDIAN Group Chairman Kou Manyuen had a friendly meeting with the former French Prime Minister Jean-Pierre Raffarin and presented the Haimalong to Mr. Raffarin as a gift. 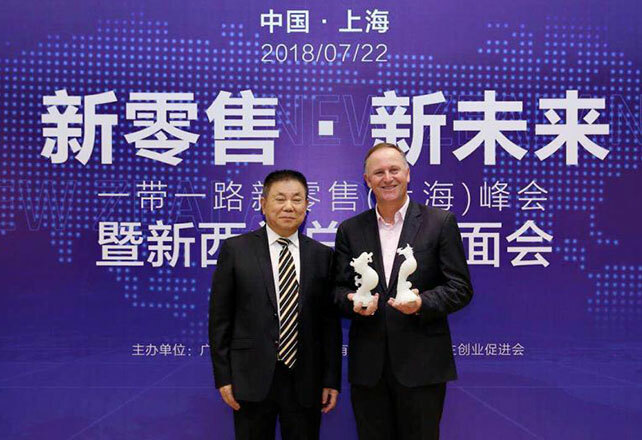 GOLDIAN Group Chairman Kou Manyuen shared views with former German president Wulff on "True Love Humanites" and presented Mr. Wulff the Haimalong and Haimafeng. 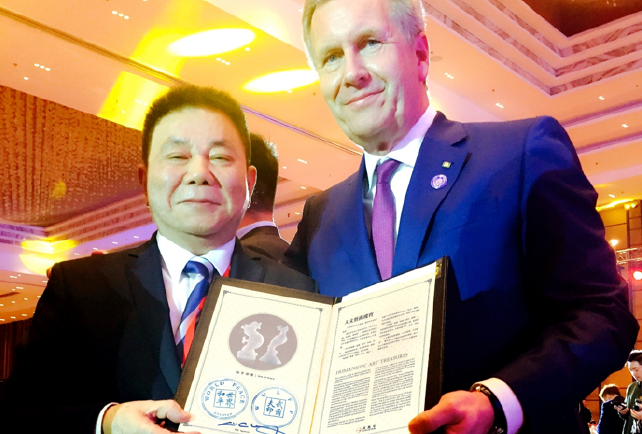 Mr. Wulff signed on the “Seal of Peace”. 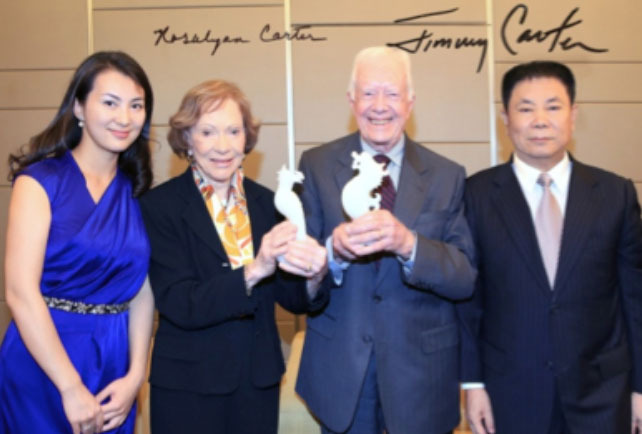 GOLDIAN Group Chairman Kou Manyuen presented the Haimalong and Haimafeng to former US president Jimmy Carter and Mrs. Carter, as an acknowledgement to their successful marital life. 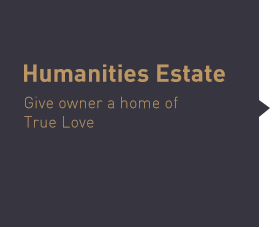 And the Carters signed on the "Seal of Peace". 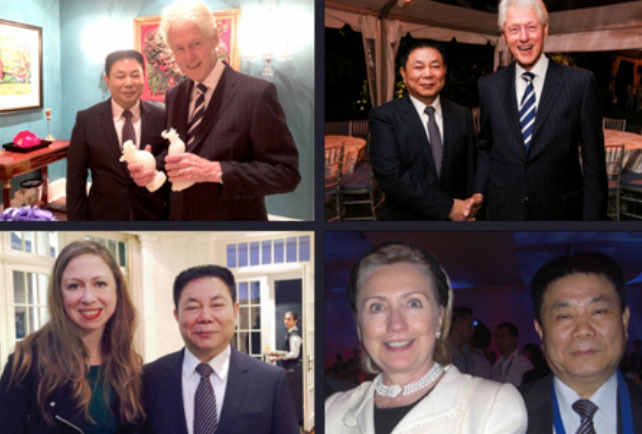 GOLDIAN Group Chairman Kou Manyuen was invited to former US president Bill Clinton's house, and presented him the Haimalong and Haimafeng. 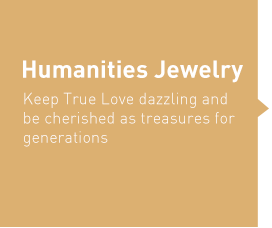 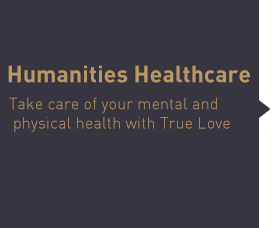 Mr. Kou shared views with the Clintons on "True Love Humanities". 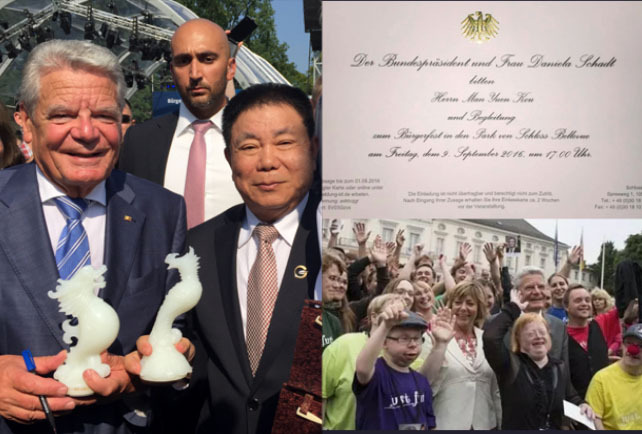 GOLDIAN Group Chairman Kou Manyuen was invited to attend a ceremony at German presidential palace garden and presented the Haimalong and Haimafeng to president Joachim Wilhelm Gauck. 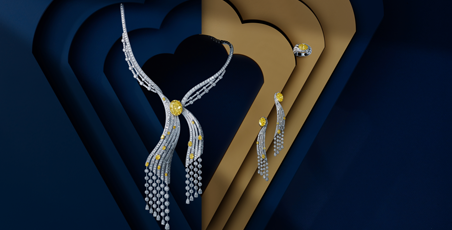 “This is the most beautiful gift I have ever seen,” said the president. 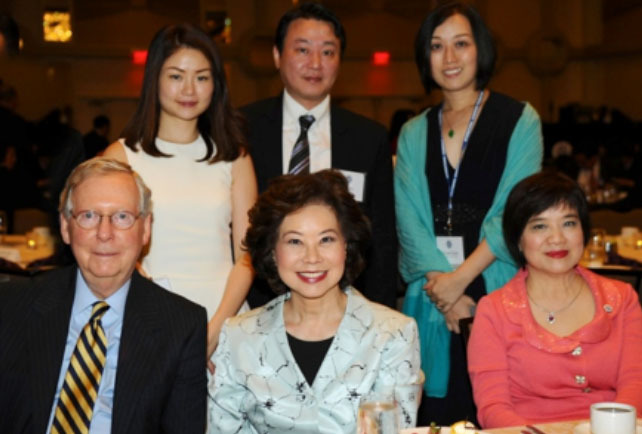 Director of Goldian Group Kou Leo and Mrs. Kou shared views with Secretary of US Department of Transportation Elaine Chao and her husband on "True Love Humanities" at a charity dinner of Mrs. Julia Bloch's Education Foundation. 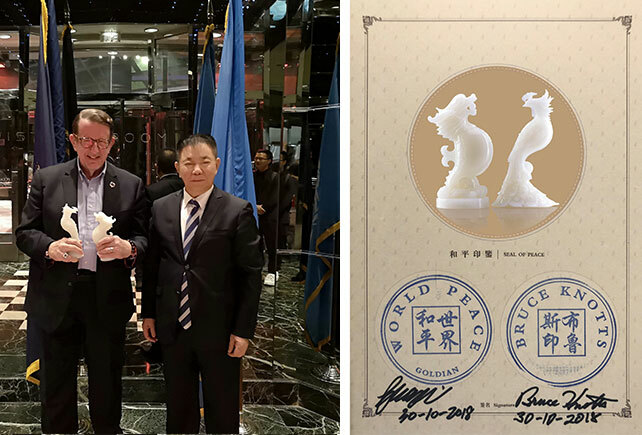 Mr. Gray, mayor of Washington signed on the "Seal of Peace". 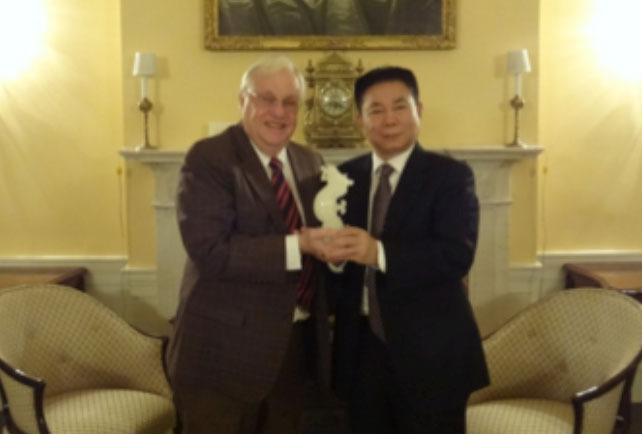 Vice mayor of Washington accepted the Haimalong on behalf of Mr.Gray. 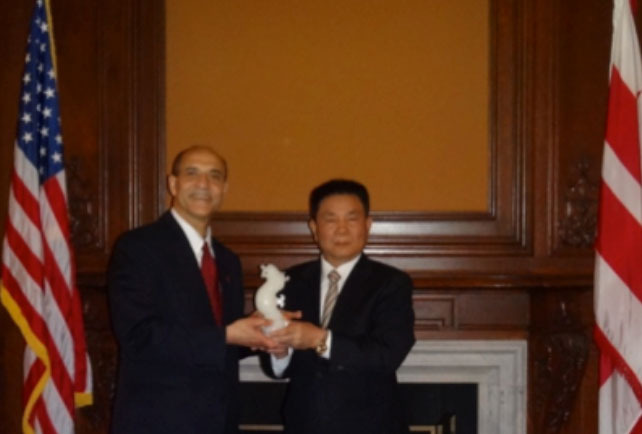 GOLDIAN Group Chairman Kou Manyuen presented the Haimalong to Mr. Dell Roosevelt, chairman of the Roosevelt Foundation. 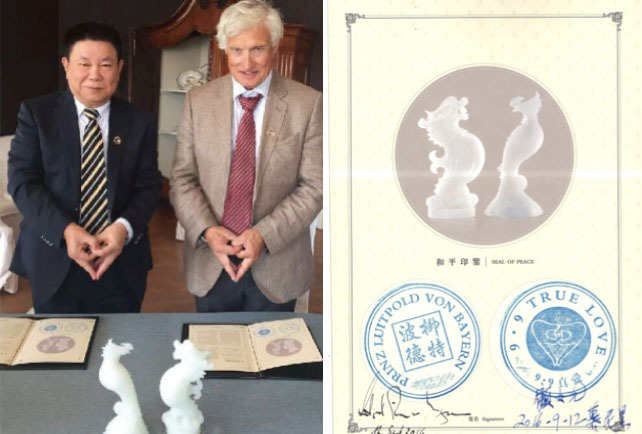 GOLDIAN Group Chairman Kou Manyuen and the German Prince of Bavaria posed "Hand Heart of True Love". 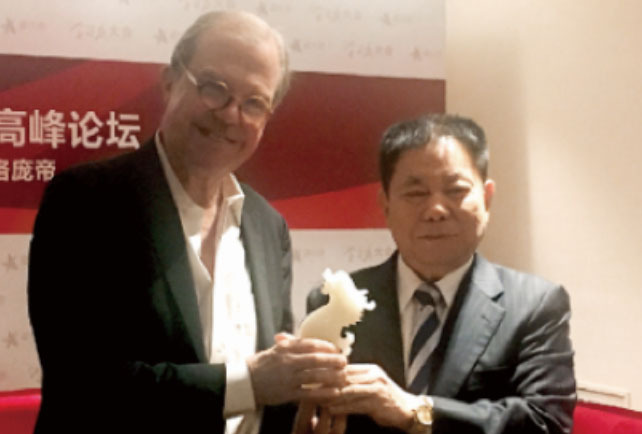 GOLDIAN Group Chairman Kou Manyuen shared views on "True Love" with International renowned Internet scientist Nicholas Negroponte. 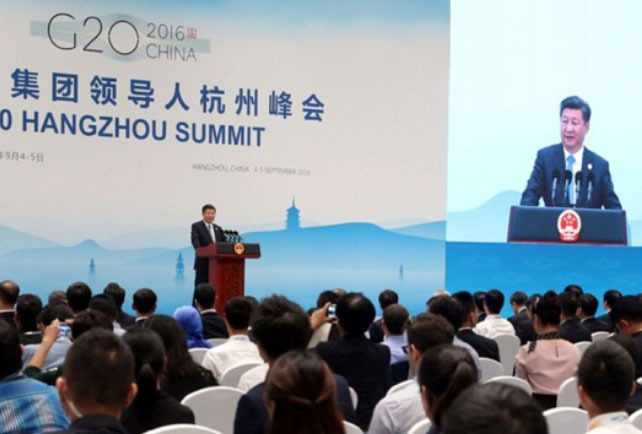 At G20-B20 summit in Hangzhou, GOLDIAN Group Chairman Kou Manyuen shared insights in the development of world economy and listened to a keynote speech by President Xi Jinping. 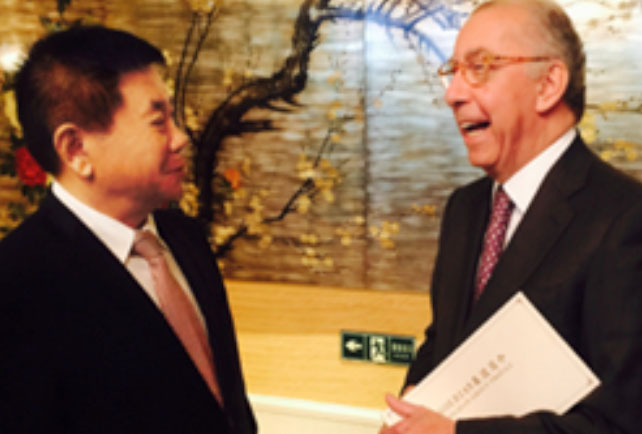 At the 7th International Capital Conference, GOLDIAN Chairman Kou Manyuen shared views on "True Love Humanities" with former Vice-Minister of Commerce and formal Secretary-General of Boao Forum for Asia Long Yongtu, former Secretary-General of French Ministry of Foreign Affairs Gerard Errera, and former French Prime Minister Jean-Pierr. 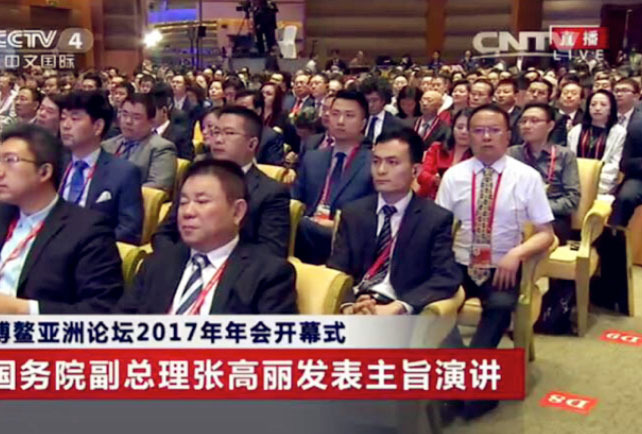 GOLDIAN Group Chairman Kou Manyuen attended the Boao Forum for Asia 2017, and shared views with Secretary-General Zhou Wenzhong. 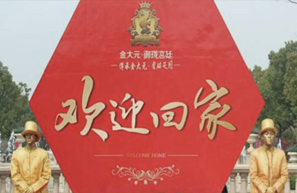 At a business breakfast held by The People's Government of Hainan Province, Mr. Kou discussed cooperation and development of Humanities Tourism with Hainan Province governor Liu Cigui. 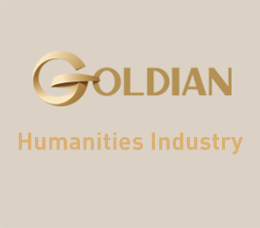 At Asia-Europe International Forum, GOLDIAN was awarded "World's Multicultural Exchange Outstanding Contribution" by UNESCO. 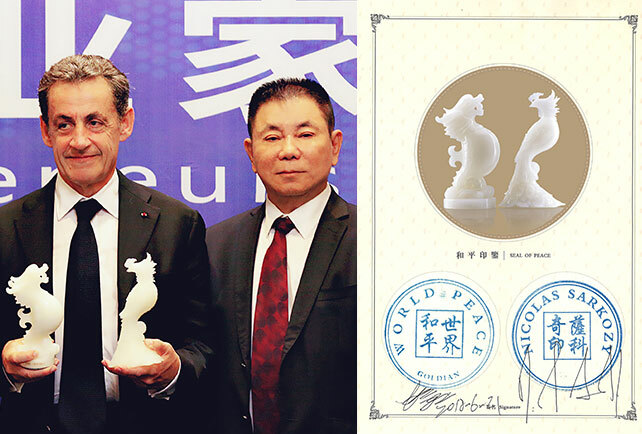 Chairman of Goldian Group Kou Manyuen shared views on "True Love Humanities" with former French president Nicolas Sarkozy. 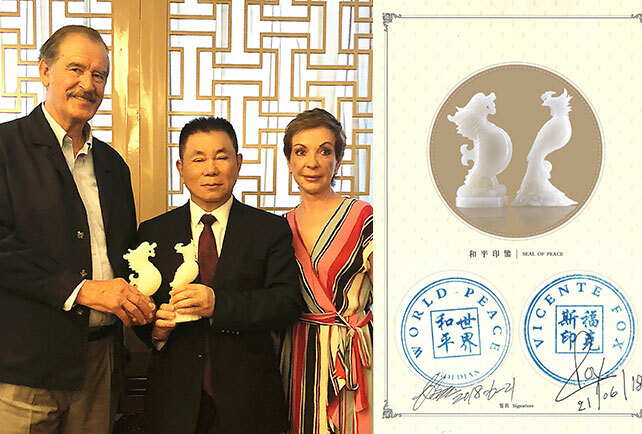 Chairman of Goldian Group Kou Manyuen presented the Haimalong and Haimafeng to former Mexican president Vicente Fox Quesada and Mrs. Marta Sahagon, and president Fox said that they will be exhibited in the Mexican Museum. 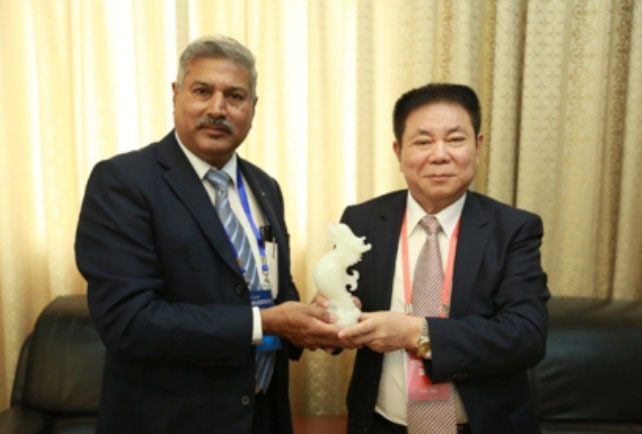 Chairman of GOLDIAN presented the humanistic and artistic treasures of Goldian's design—Haimalong and Haimafeng to Mr. Bruce Knotts, Chair of the NGO/DPI Executive Committee. 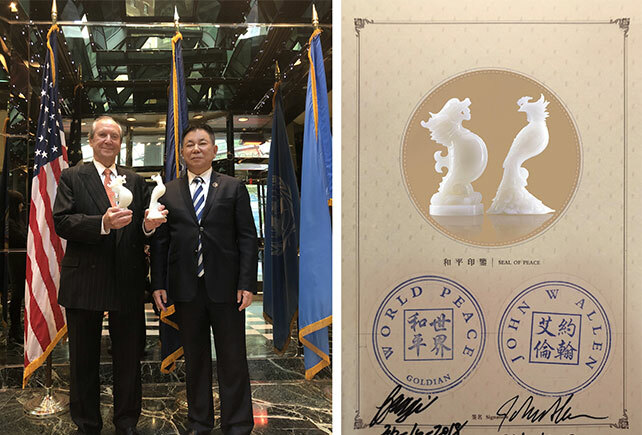 Mr. Bruce Knotts signed the "Seal of Peace"
Chairman of GOLDIAN presented the humanistic and artistic treasures of Goldian's design—Haimalong and Haimafeng to Mr. John Allen, former vice president of the United Nations Business Council. 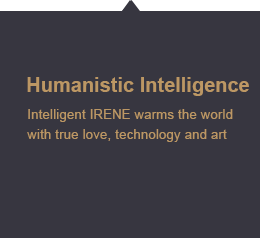 Mr. John Allen signed the "Seal of Peace"
"Three Treasures of Humanities and Art", Peace Irene, the Haïmalong and the Haïmafong, which integrate the humanistic essence of the Eastern and Western cultures were created after years of devotion to spread the world vision of "Peace" and "True Love". 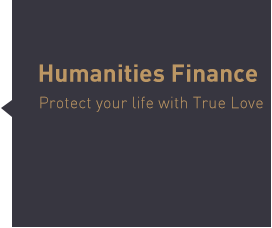 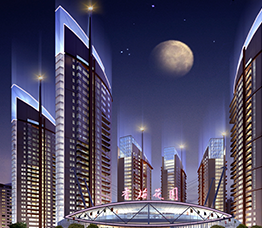 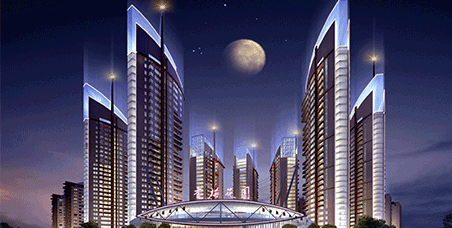 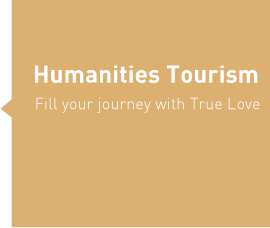 As the characteristic of GOLDIAN's humanities real-estate brand, "Three Treasures of Humanities and Art" have participated in various international culture exchange activities and received wide attention and praise around the world. 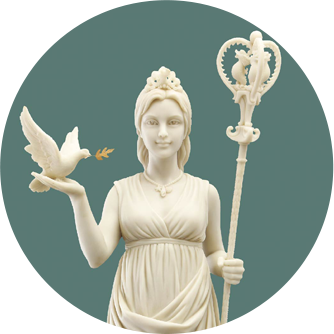 As the perfect artistic representative which condenses the interfused legacy of the East and West, Peace Irene poses in a perky and elegant stance riding on the waves to harbor a broad mind and love, coroneted with a Haïmafong crown in the connotation of harmony and good luck, while holding a Haïmalong staff which represents justice and majesty in the left hand, with the other hand perched by a wing-fluttering dove of peace which holds an olive branch in its beak to deliver the good wishes of world peace and the spirit of the true, the good, and the beautiful. 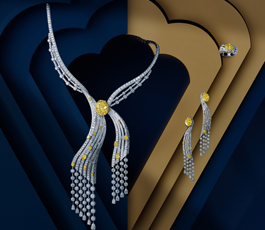 As a combination of the seahorse and the dragon, the Haïmalong originates from the ancient land of the East, having absorbed the essence of the Western cultures with profound connotations of both the Eastern and Western cultures. 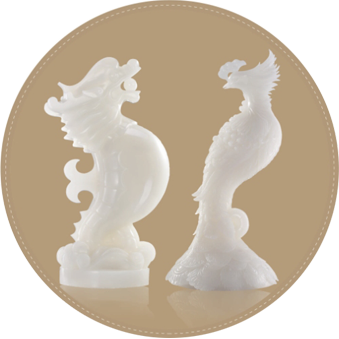 As a combination of the seahorse and phoenix, the Haïmafong inherits the profound significance from the Eastern and Western cultures. 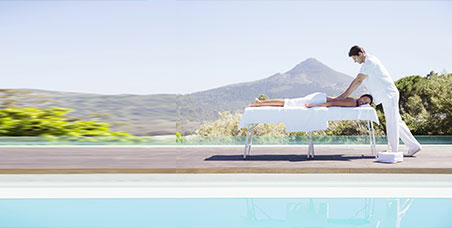 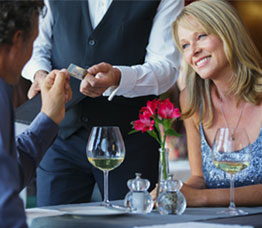 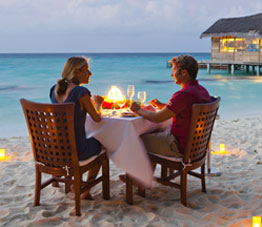 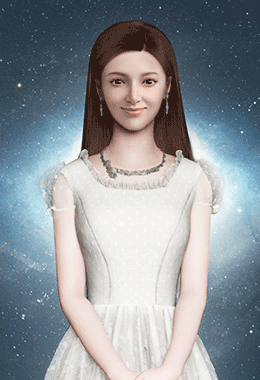 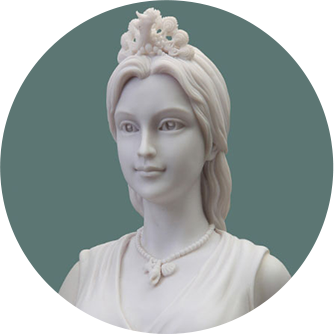 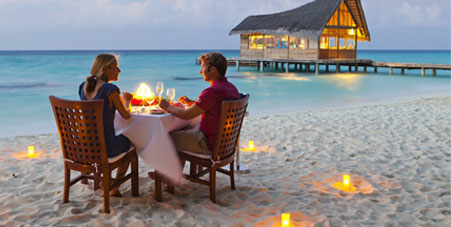 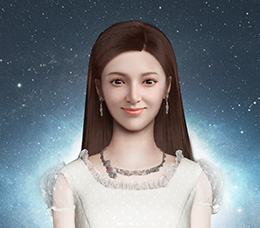 The consummation attached to the Haïmafong signifies the sublimation of the true love.